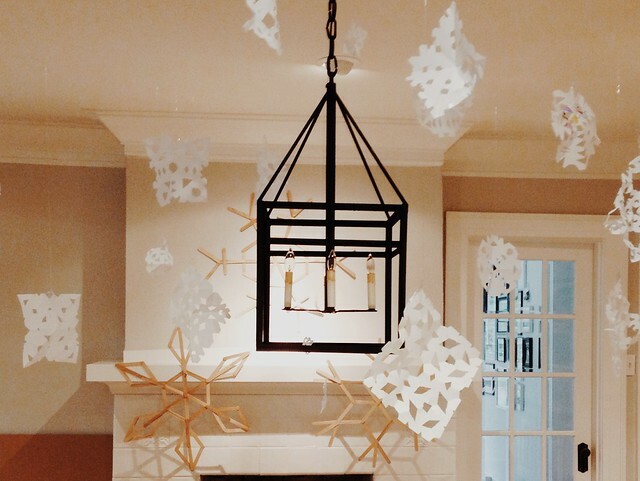 Thanks to pinterest, we found our Christmas mantle decor. 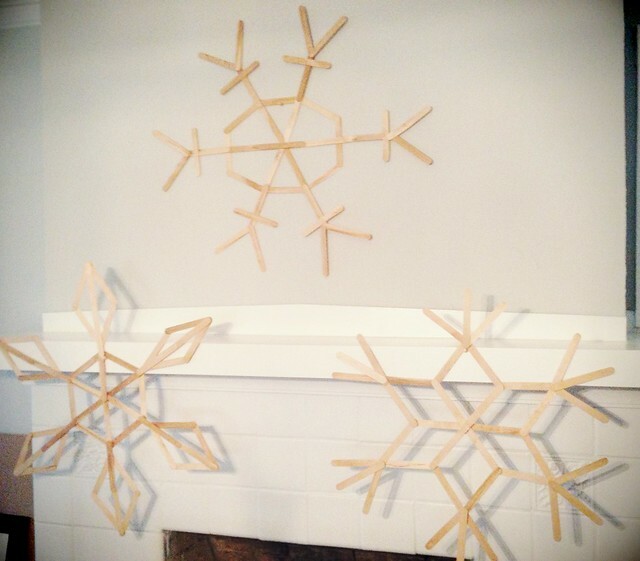 We just followed her patterns and hot glued all the sticks together. It went so fast and was so much fun! It's a blizzard over here! 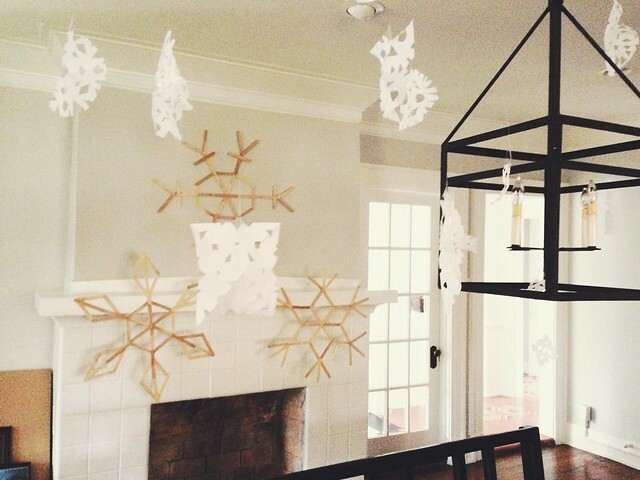 I had to make some of those snowflakes today with my kids :) we cut out snowflakes for 4 hours!! 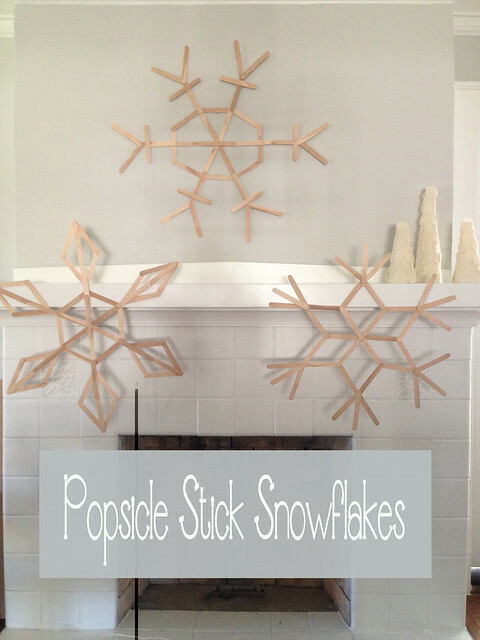 It was addicting & I am not kidding when I say I went through 300 popsicle sticks too ;) fun fun!